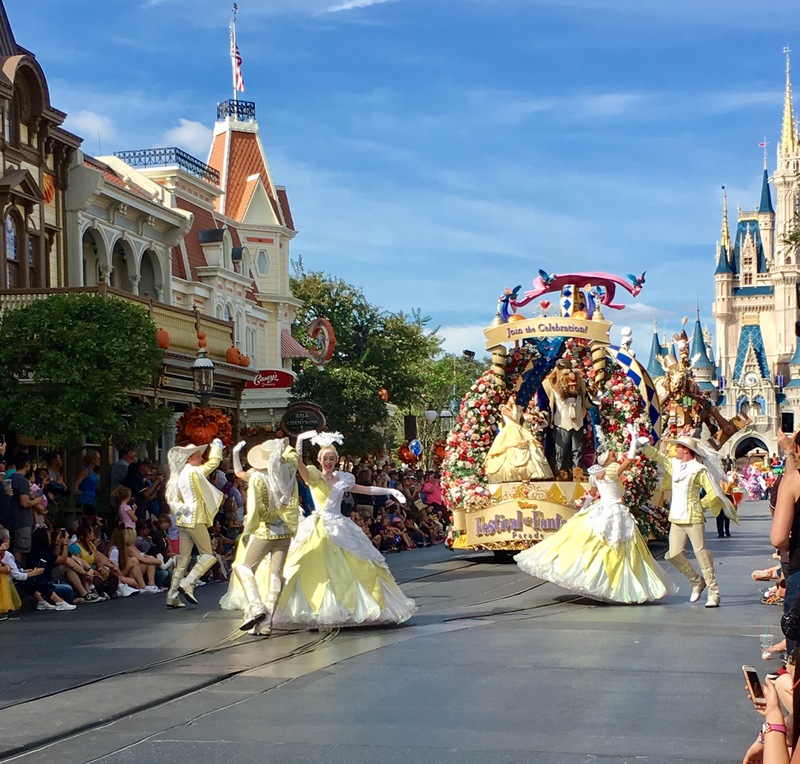 We spent our first park day at Magic Kingdom, because duh. 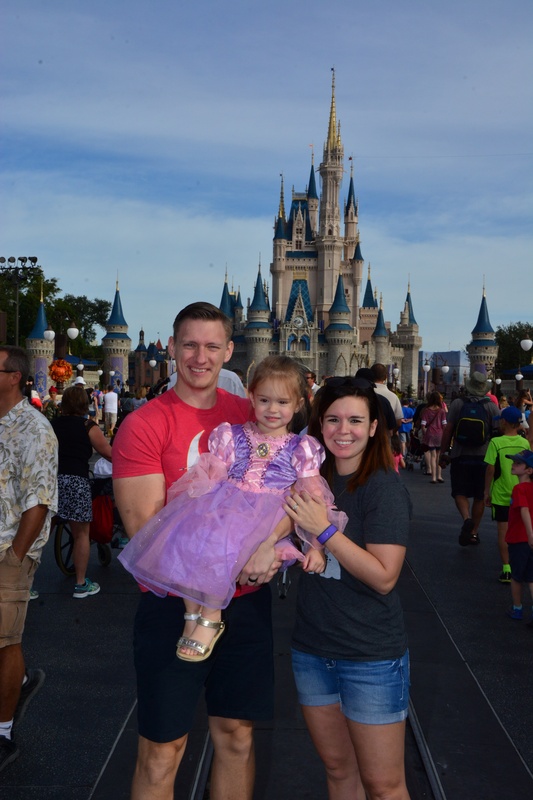 It’s not Disney World until you see Cinderella’s Castle, right? Dorothy wanted nothing to do with her Rapunzel dress that morning, but I brought it with us anyway. 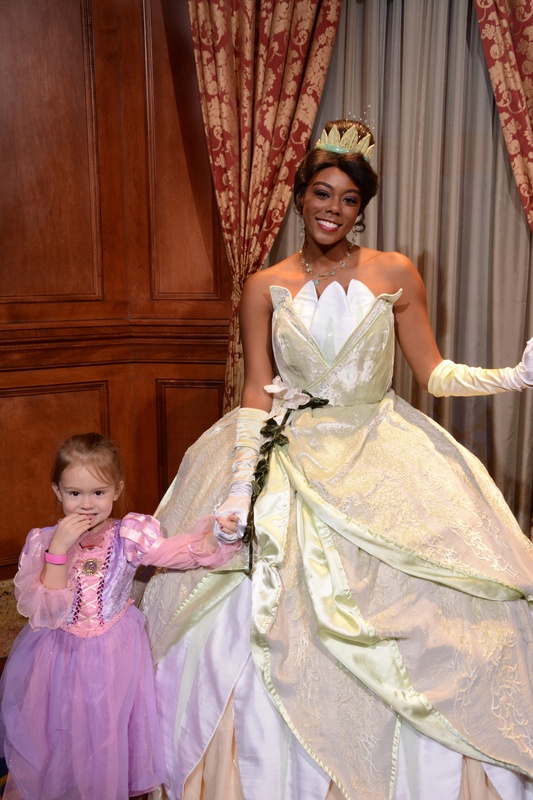 It’s a good thing, too, because as soon as she saw another little girl in a princess dress she had to have hers pronto. Even if that time was in the middle of the security bag check. Late October is ideal for WDW. Not only was the temperature was perfect, but the only real crowds we saw were at Epcot for Food & Wine Festival. Magic Kingdom at 9 a.m. on a Tuesday was almost peaceful. 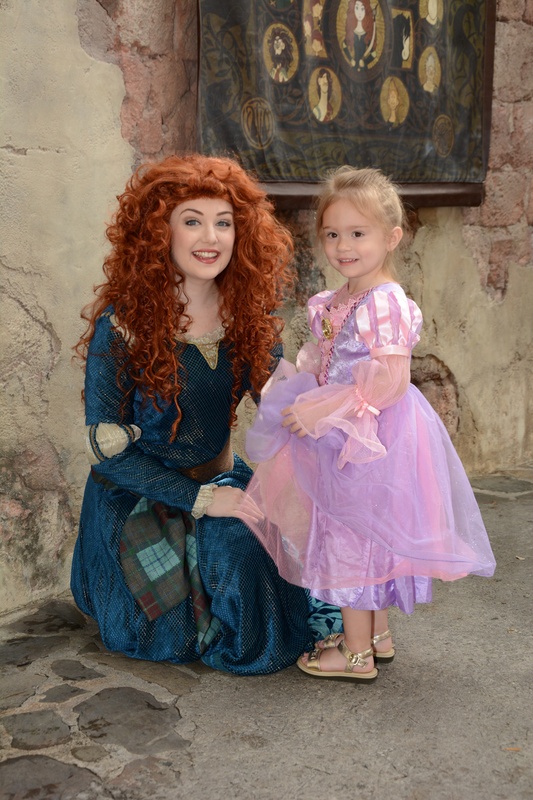 We had some time to kill before our first FastPass+ of the day, so we hopped in a short line to meet Merida. 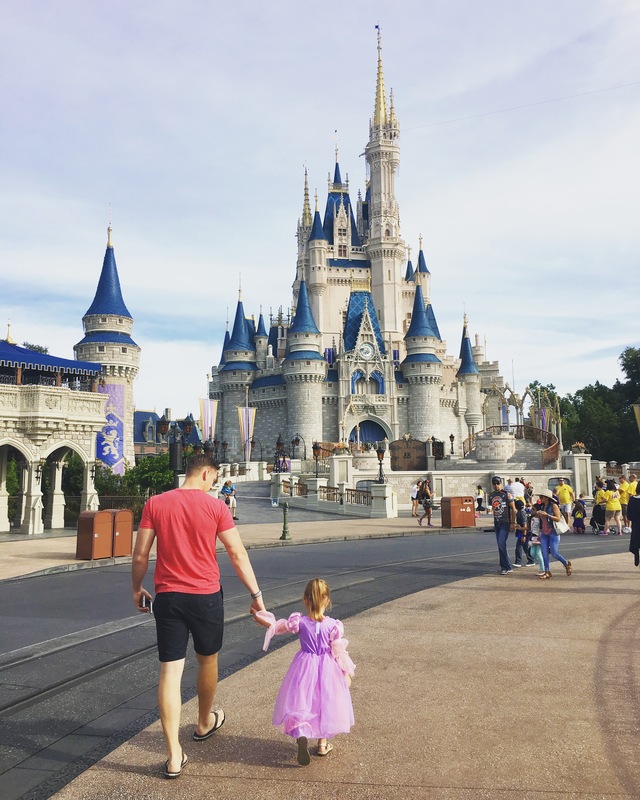 Everyone was excited – first day at WDW, first attraction AND first princess! Dorothy had her autograph book, and was excitedly showing it to everyone in the vicinity. Things were good. I’m not entirely sure Dorothy understood what that girl said to her (her mother made her apologize, of course), but I do know Dorothy suddenly wanted a tiara. At that point, I would have bought her 100 crowns. Stupid bully picking on a TWO YEAR OLD. Anyway. We didn’t let her bring down our Disney excitement (even though Courtny and I just stared at each other in disbelief). 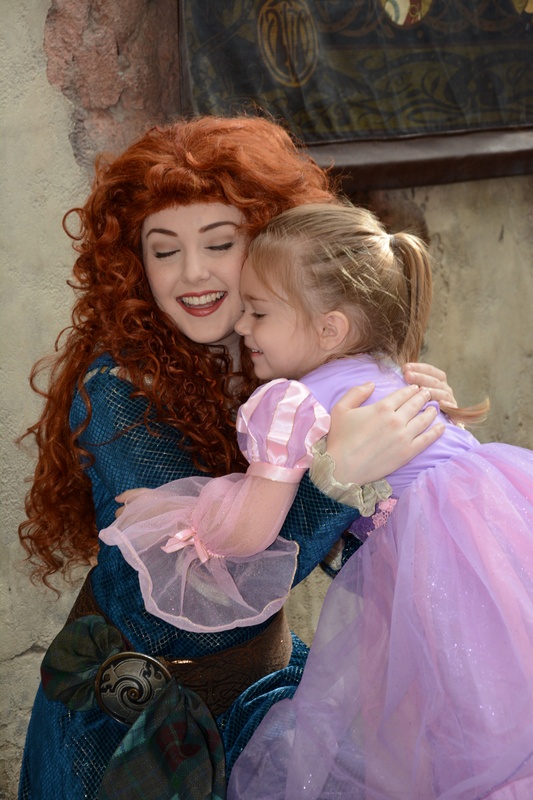 Can we get back to how adorable Merida was? And then there was Rapunzel. Who obviously Dorothy could not get enough of. And THEN there was Tiana. 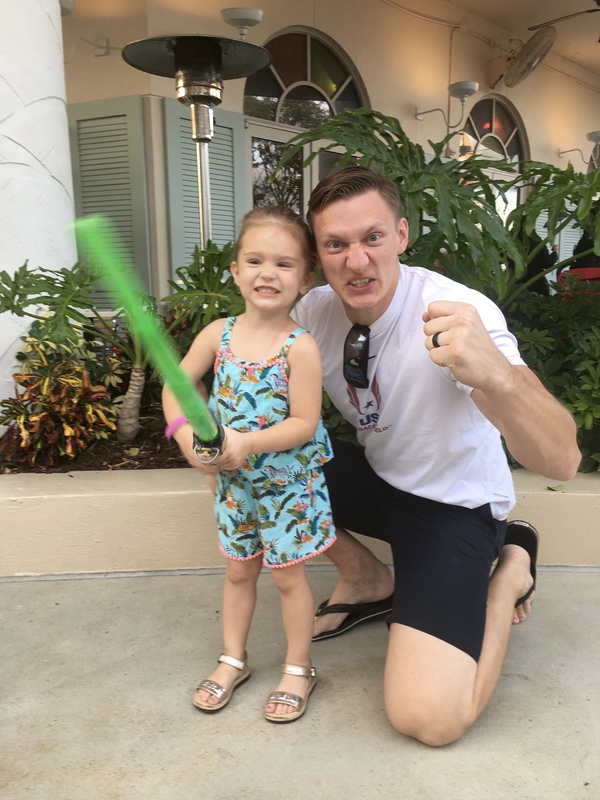 Now, everyone says toddlers are the best to take to WDW because you get to experience things through their eyes. 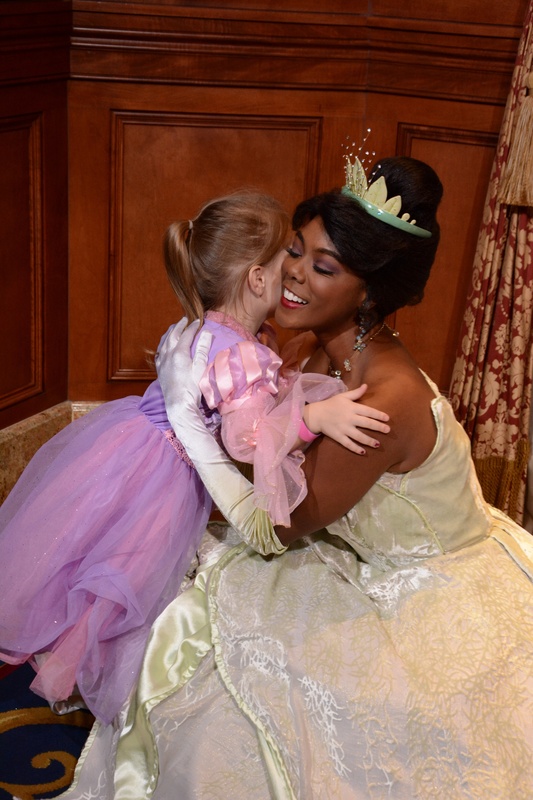 The princesses were it, for me. To Dorothy, they were so REAL. And to momma, the look on her face was enough to make me teary-eyed every time. 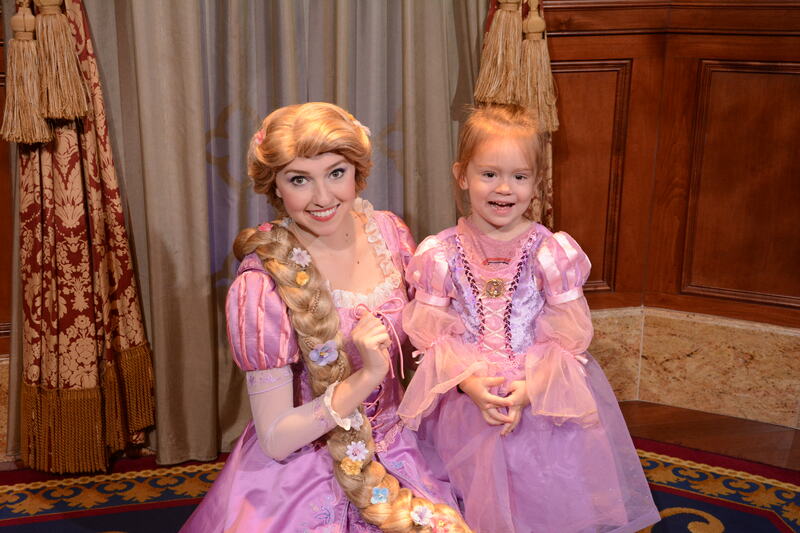 I had made FastPass+ reservations for meeting Rapunzel and Tiana, and also for Peter Pan’s Flight and Seven Dwarf’s Mine Train. I made all of our FP+ back-to-back, beginning around 9:30 a.m. so that we could 1.) get through our FP+ before a meltdown, or 2.) make more if we were still going strong. We spent our time between our FP+ hopping on whatever was close with the shortest wait (meaning 10 minutes or less). Anything over 10 minutes, without a FP+, was just not going to happen for us. Spending the majority of our morning in Fantasyland, this meant we rode Prince Charming Regal Carrousel, Mad Tea Party, Mickey’s PhilharMagic, Under the Sea ~ Journey of The Little Mermaid, etc. 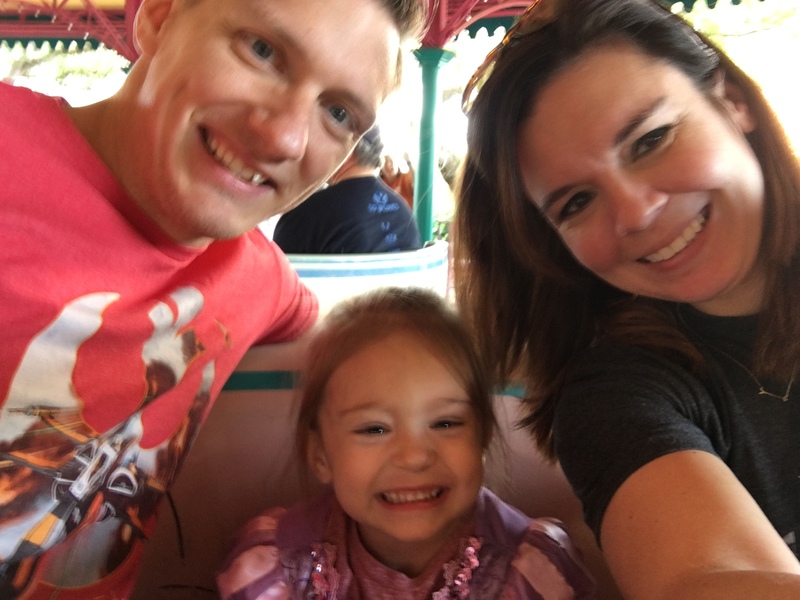 Surprisingly, we rode a lot of things that I had never been on… and this was my sixth trip to WDW. … except when you’re trying to get your kid to leave. 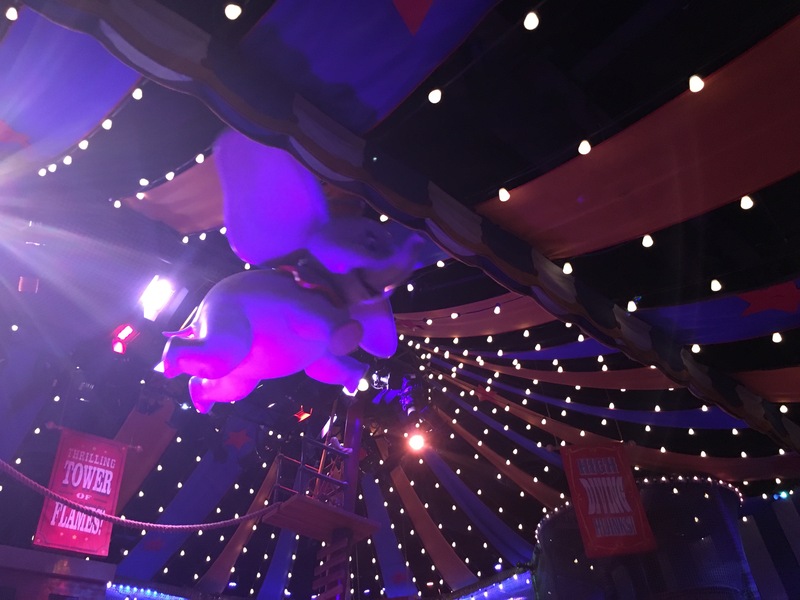 Dorothy played in the big top FOREVER. I tried so many times to get her down from the suspended rope course, with no luck. Finally, my 6’3″ husband had to go in after her so we could continue on with our afternoon. This is important, I promise. We then decided to ride The Barnstormer (which is very close in proximity to Dumbo) as Dorothy’s first roller coaster. 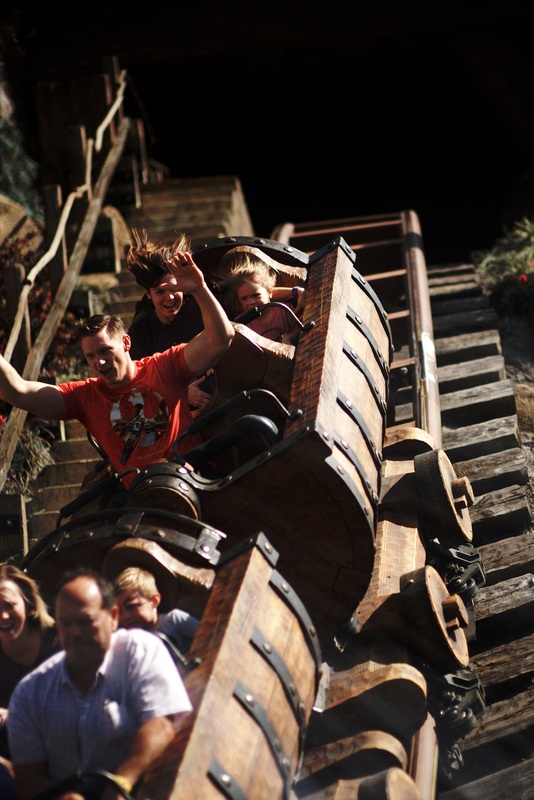 Dorothy had been AMPED about riding Seven Dwarf’s Mine Train for months, so we kind of wanted to make sure she would be okay on that type of ride before we put her on it. She may reach the height limit, but she was only two after all. Spolier alert: She loved The Barnstormer. So, we made our way to Seven Dwarf’s Mine Train. Dorothy, again, loved it (minus the witch SHE KNEW WAS COMING at the end). This is also where we discovered that Courtny had lost his cell phone. His BRAND NEW iPHONE 7 PLUS. Guys. There is a silver iPhone 7 Plus somewhere between Dumbo’s playground and Seven Dwarf’s Mine Train. We looked for it. We asked Cast Members about it. Courtny even went the next day to the WDW Lost & Found (which in 2013 found a certain someone’s driver’s license after NYE… *cough* Amanda *cough*). No luck. Hell, it’s probably still in the big top, because how many adults actually get up in that thing? So, for the rest of our vacation, Courtny walked around with his iPad to communicate like he was 70 years old. We decided to watch the Festival of Fantasy parade on our way out of the park. It’s worth it, friends. Chip (or maybe it was Dale?) came up and held Dorothy’s hand… and she was blown away. Elsa and Anna waved at her. She was so excited to show Mickey Mouse her water bottle/fan at the end (toddlers are weird). It was a good ending to our day, for sure. Once we got back to the resort, we rested for awhile and then made last minute dinner reservations at Bongos Cuban Cafe in Disney Springs. We got dressed and did a little shopping. This is when Dorothy insisted on building her own light saber. Kid likes what she likes. Her daddy was proud. To end our almost magical day, we picked up some Florida Citrus Margaritas to go and pushed our exhausted toddler back to the room. It doesn’t get much better than that, friends. So many things! 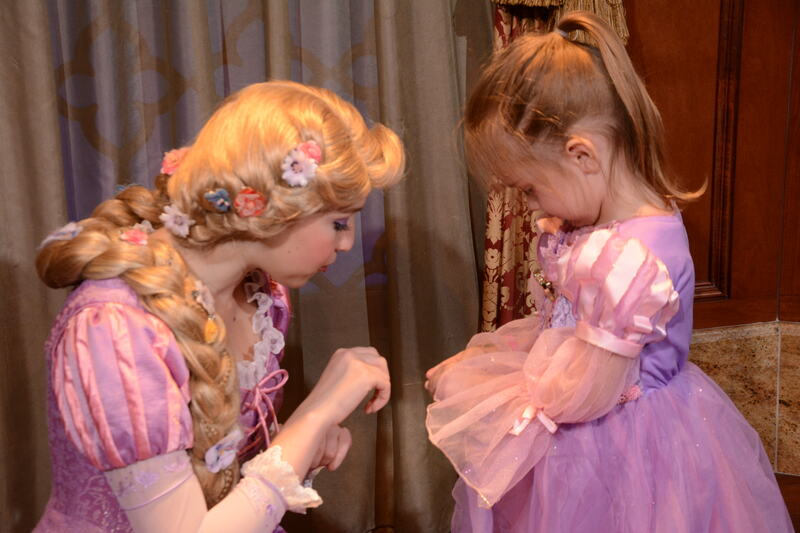 I can’t believe that little girl, doesn’t she know all girls are princesses? And I can’t believe it about that iPhone 7! Whoops! Haha it looks like you guys had a blast. I’ve never been to WDW, but I’m hoping while we’re on this side of the country, we’ll make it over there!